There have been centuries of study of logic and of language. Some philosophers and logicians have argued that natural language is logically deficient, or even that “natural language has no logic”. And before the birth of formal semantics in the late 1960’s, most linguists and philosophers were agreed that there was a considerable mismatch between the syntactic structure of natural language sentences and their “logical form”. The logician and philosopher Richard Montague argued that natural languages do have a very systematic semantic structure, but that it can be understood only if one uses a rich enough logic to mirror the rich syntactic structure of natural languages. This essay briefly sketches the history of arguments about the relation between natural language syntax and logical structure, concentrating on the period from Frege to Montague, roughly 1880 to 1970, illustrating the issues with sentences containing quantifiers. Semantics tended to be rather neglected in early and mid-20th century American linguistics for several reasons. There had been rather little semantics in early American anthropological linguistics, which focused on linguistic fieldwork. The behaviorists viewed meaning as an unobservable aspect of language, not fit for scientific study, which influenced the American structuralists. 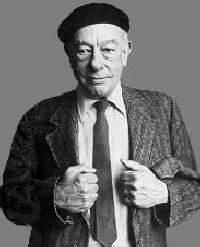 And Quine had strong skepticism about the concept of meaning, and had some influence on Chomsky. At the same time there was great progress in semantics in logic and philosophy of language, but that was relatively unknown to most linguists. In 1954, Yehoshua Bar-Hillel wrote an article in Language (Bar-Hillel 1954) inviting cooperation between linguists and logicians, arguing that advances in both fields made the time ripe for combining forces to work on syntax and semantics together. But Chomsky (1955) rebuffed the invitation, arguing that the artificial languages invented by logicians were too unlike natural languages for any methods the logicians had developed to have any chance of being useful for developing linguistic theory. Various linguists proposed ways of adding semantics to Chomsky’s syntactic theories starting in the 1960’s (see Partee 2011); Chomsky himself ranged from ambivalent (1965) to skeptical (later) about semantics. His 1965 syntactic theory (Chomsky 1965) posited a notion of “Deep Structure” which was hypothesized to form the input to semantic interpretation, as proposed by (Katz and Postal 1964); then transformational rules would map that structure onto “Surface Structure”, which in turn formed the input to the phonogical component. On this approach syntax was the central mediator of the mapping between sound and meaning. Examples like (1) led the Generative Semanticists (Lakoff, Ross, McCawley, and others) to abandon Chomsky’s 1965 view of Deep Structure, since on that theory, the Deep Structure of (1) was something like (2). The resulting “Linguistic Wars” have been well documented (Harris 1993, Newmeyer 1980). (1) Everyone wants to win. (2) Everyone wants everyone to win. What were the early linguistic notions of “logical form”? In Generative Semantics (Lakoff, Ross, McCawley, Postal, and others) (see Newmeyer 1996), the belief was that in order for deep structure to capture semantics, it needed to be deeper, more abstract, more like “logical form”, which for linguists meant first-order logic. In fact, both linguists and philosophers who worried about the semantics of quantified sentences before Montague’s work thought of “logical form” in terms of first-order logic. But given that generalized quantifiers were only developed starting in the late 1950’s, that could hardly have been otherwise. In hindsight, this is close to the idea of Generalized Quantifiers. But the idea of giving a semantic value to the quantifiers themselves was not explicitly developed until much later, really not until Frege. Frege. 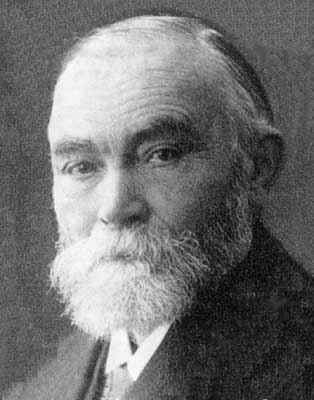 The greatest foundational figure for formal semantics is Gottlob Frege (1848-1925). His crucial ideas include the Compositionality Principle and the idea that function-argument structure is the key to semantic compositionality (see Janssen 2012, Krifka 1999, Partee 1984, Pelletier 1994, Szabó 2008). The Principle of Compositionality: The meaning of a complex expression is a function of the meanings of its parts and of the way they are syntactically combined. 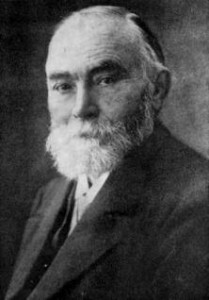 One of Frege’s great contributions was the logical structure of quantified sentences. That was part of the design of the Begriffschrift (Frege 1879), a “logically perfect language” to satisfy Leibniz’s goals; he did not see himself as offering an analysis of natural language, but a tool to augment it, as the microscope augments the eye. Russell was not the first logician to complain about the illogicality of natural language. One of his favorite complaints was that English puts phrases like “every man”, “a horse”, “the king” into the same syntactic category as proper names. He considered the formulas of his first-order logic a much truer picture of “logical form” than English sentences. One way to appreciate Montague’s use of a higher-order typed logic, including generalized quantifiers, is to consider the question of where in Russell’s formula (4), symbolizing Every man walks, is the meaning of every man? The answer is that it is distributed over the whole formula – in fact everything except the predicate walk in the formula can be traced back to every man. 3. Arguing that natural language is not “illogical”. 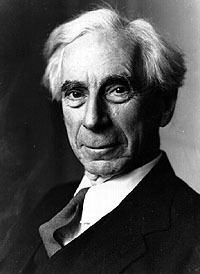 One way to answer Russell is to devise a logic in which the translation of every man is a constituent in the logical language. 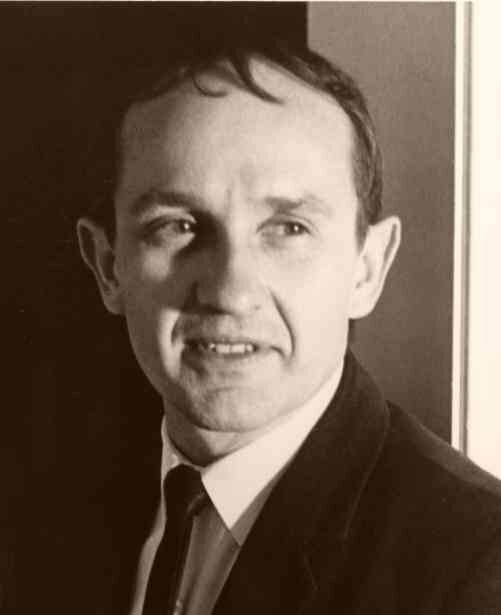 Terry Parsons did it with a variable-free combinatoric logic (Parsons 1968, Parsons 1972). Montague did it with a higher-order typed intensional logic (Montague 1973). Both were reportedly influenced by seeing how to devise algorithms for mapping from (parts of) English onto formulas of first-order logic, thereby realizing that English itself was not so logically unruly. (See also Lewis 1970.) First-order logic has many virtues, but similarity to natural language syntax is not one of them. 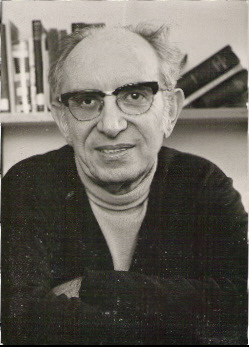 Montague, a student of Tarski’s, contributed greatly to the development of formal semantics with his development of intensional logic and his combination of pragmatics with intensional logic (Montague 1968, 1970, 1974). 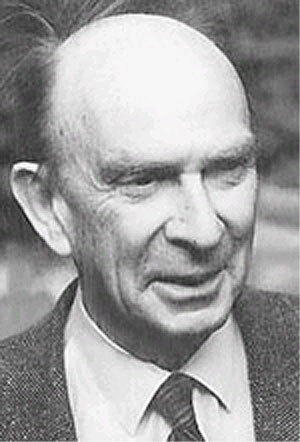 His higher order typed intensional logic unified modal logic, tense logic, and the logic of the propositional attitudes, extending the work of Carnap (1956), Church (1951), and Kaplan (1964), putting together Frege’s function‑argument structure with the treatment of intensions as functions to extensions. Montague and generalized quantifiers: According to Peters and Westerståhl (2006), the logical notion of quantifiers as second-order relations is “discernible” in Aristotle, full-fledged in Frege, then forgotten until rediscovered by model theorists like Mostowski (1957) and Lindström (1966). 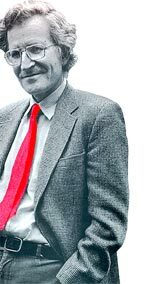 It was Lindström who introduced binary generalized quantifiers, without which one can express Most things walk, but not Most cats walk. What we are now accustomed to calling “generalized quantifiers”, e.g. the denotation of the NP most cats, represents the application of a Lindström binary quantifier most, syntactically a Determiner, to its first argument cats, syntactically a Noun, giving a unary generalized quantifier most cats. Montague (1973) (and Lewis 1970) proposed that English NPs like every man, most cats can be treated categorematically, uniformly, and compositionally if they are interpreted as generalized quantifiers. This was a big part of the refutation of the point Russell and Strawson (and Chomsky) were agreed on, that there is no logic of natural language. That refutation opened a floodgate, and the next decade saw a great surge of work by linguists and philosophers, individually and together. Generalized quantifiers and English syntax. 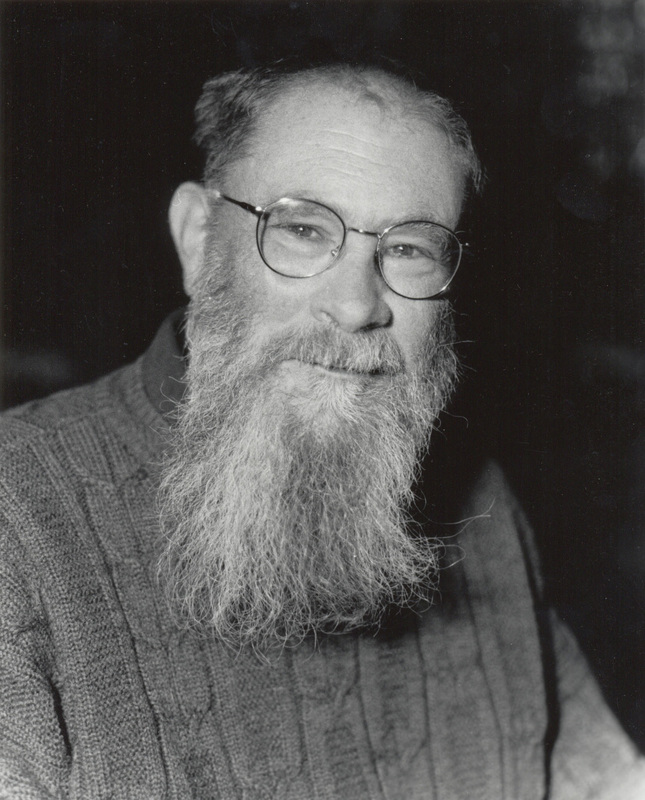 Montague’s work showed how with a higher-typed logic and the lambda-calculus (or other ways to talk about functions), NPs could in principle be uniformly interpreted as generalized quantifiers (sets of sets). And Determiners could then be interpreted uniformly as functions that apply to common noun phrase meanings (sets) to make generalized quantifiers. In Montague’s work, there is a semantic type, <<e,t>,t>, sets of sets of entities, to correspond to English NPs. In a simple sentence, the subject NP is the function, and the Verb Phrase (VP) is its <e,t>-type argument, as shown in (5). And although Montague treated the determiner every syncategorematically, that was inessential; every can be analyzed as in (5d). Montague’s interpretation of the sentence Every man walks is the same as Russell’s; the big difference is that Montague derives the interpretation compositionally; the semantic structure is homomorphic to the syntactic structure. A. Semantics is syntax-driven, syntax is semantically motivated. Montague did not invent model-theoretic semantics; but it was through his work that the model-theoretic approach became more widely known and adopted among linguists, with far-reaching changes to the field of linguistic semantics. An important, if obvious, moral of the story is that the question of whether natural language is “logical”, which may be viewed as a version of the question of whether natural language semantics is compositional, is a theory-dependent matter. Contemporary formal semanticists tend to see challenges to compositionality as calls for enrichments to their logic and semantics or improvements to their syntactic theories. Note: This essay draws in considerable part on (Partee 2009, Partee 2011, Partee 2013, Partee In Press, Partee 1997); more details, acknowledgments, and references can be found in those works. Bar-Hillel, Yehoshua. 1954. Logical syntax and semantics. Language 30:230-237. Carnap, Rudolf. 1956. Meaning and Necessity: A Study in Semantics and Modal Logic. 2nd edition with supplements. Chicago: Phoenix Books, University of Chicago Press. Chomsky, Noam. 1955. Logical syntax and semantics: their linguistic relevance. Language 31:36-45. Church, Alonzo. 1951. A formulation of the logic of sense and denotation. In Structure, Method, and Meaning: Essays in Honor of H.M. Sheffer, eds. P. Henle, H. Kallen and S. Langer. New York: Liberal Arts Press. Cocchiarella, Nino. 1997. Formally-oriented work in the philosophy of language. In Philosophy of Meaning, Knowledge and Value in the 20th Century, ed. John V. Canfield, 39-75. London ; New York: Routledge. Frege, Gottlob. 1879. Begriffsschrift, eine der arithmetischen nachgebildete Formelsprache des reinen Denkens. Halle. Harris, Randy Allen. 1993. The Linguistics Wars. New York and Oxford: Oxford University Press. Janssen, Theo M. V. 2012. Compositionality: its historic context. In The Oxford Handbook of Compositionality, eds. Markus Werning, Wolfram Hinzen and Edouard Machery, 19-46. Oxford: Oxford University Press. Kaplan, David. 1964. Foundations of Intensional Logic, University of California Los Angeles: Ph.D. Dissertation. Katz, Jerrold J., and Postal, Paul M. 1964. An Integrated Theory of Linguistic Descriptions. Cambridge, MA: MIT Press. Krifka, Manfred. 1999. Compositionality. In The MIT Encyclopedia of the Cognitive Sciences, eds. R.A. Wilson and F.C. Keil, 152-153. Cambridge, MA: The MIT Press. Lewis, D. 1970. General Semantics. Synthèse 22:18-67. Lindström, Per. 1966. First order predicate logic with generalized quantifiers. Theoria 32:186-195. Montague, Richard. 1968. Pragmatics. In Contemporary Philosophy, ed. R. Klibanski, 102-121. Florence: La Nuova Italia Editrice. Reprinted in Montague 1974, 95-118. Montague, Richard. 1970. Pragmatics and intensional logic. Synthèse 22:68-94. Reprinted in Davidson and Harman, eds., 1972, 142-168; Reprinted in Montague 1974, 119-147. Montague, Richard. 1973. The proper treatment of quantification in ordinary English. In Approaches to Natural Language, eds. K.J.J. Hintikka, J.M.E. Moravcsik and P. Suppes, 221-242. Dordrecht: Reidel. Reprinted in Montague 1974, 247-270; Reprinted in Portner and Partee, eds., 2002, 17-34 http://newstar.rinet.ru/~goga/biblio/essential-readings/01-Montague-The.Proper.Treatment.of.Quantification.in.Ordinary.English.djvu. Mostowski, Andrej. 1957. On a Generalization of Quantifiers. Fundamenta Mathematica 44. Newmeyer, Frederick. 1980. Linguistic Theory in America: The First Quarter-Century of Transformational Generative Grammar. New York: Academic Press. Newmeyer, Frederick J. 1996. Generative linguistics : a historical perspective: Routledge history of linguistic thought series. London ; New York: Routledge. Parsons, Terence. 1968. A semantics for English. Ms.
Parsons, Terence. 1972. An Outline of a Semantics of English. Ms. University of Massachusetts, Amherst. Partee, Barbara H. 1973. Some transformational extensions of Montague grammar. Journal of Philosophical Logic 2:509-534. Reprinted in Partee 1976, pp. 51-76. http://semanticsarchive.net/Archive/TEwODQ3Z/. Partee, Barbara H. 1975. Montague grammar and transformational grammar. Linguistic Inquiry 6:203-300. Partee, Barbara H. ed. 1976. Montague Grammar. New York: Academic Press. Partee, Barbara. 1984. Compositionality. In Varieties of Formal Semantics, eds. Fred Landman and Frank Veltman, 281-312. Dordrecht: Foris. Reprinted in Partee, Barbara H. 2004. Compositionality in Formal Semantics: Selected Papers by Barbara H. Partee. Oxford: Blackwell Publishing, 153-181 https://udrive.oit.umass.edu/partee/Partee_1984Compositionality.pdf. Partee, Barbara H. 2009. Perspectives on Semantics: How philosophy and syntax have shaped the development of formal semantics, and vice versa. In Conference “Russian in Contrast”, Special guest lecture. University of Oslo, Oslo. Video and Poster: http://folk.uio.no/atleg/russian_in_contrast/ ; Power Point presentation: https://udrive.oit.umass.edu/partee/Partee2009Oslo.ppt.pdf. Partee, Barbara H. 2011. Formal semantics: Origins, issues, early impact. In Formal Semantics and Pragmatics. Discourse, Context, and Models. The Baltic Yearbook of Cognition, Logic, and Communication. Vol. 6 (2010), eds. B.H. Partee, M. Glanzberg and J. Skilters, 1-52. Manhattan, KS: New Prairie Press. http://thebalticyearbook.org/journals/baltic/article/view/1580/1228. Partee, Barbara H. In Press. The starring role of quantifiers in the history of formal semantics. In The Logica Yearbook 2012, eds. Vit Punčochár and Petr Svarny. London: College Publications. https://udrive.oit.umass.edu/partee/Partee_InPress_QsInHistOfFormalSem.pdf. Partee, Barbara H. with Herman L.W. Hendriks. 1997. Montague grammar. In Handbook of Logic and Language, eds. Johan van Benthem and Alice ter Meulen, 5-91. Amsterdam/Cambridge, MA: Elsevier/MIT Press. https://udrive.oit.umass.edu/partee/LOLA01Partee.PDF. Pelletier, Francis Jeffry. 1994. The Principle of Semantic Compositionality. Topoi 13:11-24. Peters, Stanley, and Westerståhl, Dag. 2006. Quantifiers in Language and Logic. Oxford: Oxford University Press. Russell, Bertrand. 1957. Mr. Strawson on Referring. Mind 66. Stokhof, Martin. 2006. The development of Montague grammar. In History of the Language Sciences, eds. Sylvain Auroux, E.F.K. Koerner, Hans-Josef Niederehe and Kees Versteegh, 2058–2073. Berlin – New York: Walter de Gruyter. https://udrive.oit.umass.edu/partee/Semantics_Readings/Stokhof_2006_Montague_Grammar.pdf. Strawson, P.F. 1950. On Referring. Mind 59:320-344. Szabó, Zoltán Gendler. 2008. Compositionality. In The Stanford Encyclopedia of Philosophy (Winter 2008 Edition), ed. Edward N. Zalta. http://plato.stanford.edu/archives/win2008/entries/compositionality/. Professor Emerita of Linguistics and Philosophy, UMass Amherst Formerly Visiting Professor of Linguistics, Moscow State Univ. and Russian State Univ. for the Humanities, once at Higher School of Economics. There has been some discussion of the content of this post over at Language Log. Oh … and I thought I had finally gotten a comment! Thanks anyway. But I’m puzzled about why reportedly quite a lot of people have looked at this here but no one has commented here. Tomalin, Marcus. 2008. Linguistics and the formal sciences: the origins of generative grammar. Cambridge: Cambridge University Press. Koerner, E.F. Konrad. 1970. ‘Bloomfieldian linguistics and the problem of “meaning”’. Jahrbuch für Amerikastudien 15.162-183. Matthews, P.H. 1993. Grammatical Theory in the United States from Bloomfield to Chomsky. Cambridge: Cambridge University Press. Thanks for the comment!! I have Tomalin’s book and have looked at a little of it, not much yet. And I have Seuren’s 1998 book. And various other things. Don’t have that Koerner nor Peter Matthews — will get hold of them, thanks. I readily confess that I know less about semantics in American structuralism than I know about semantics in logic and philosophy of that period. More tips are very welcome! Lenci, Alessandro, and Zamparelli, Roberto. 2010. Compositionality and Distributional Semantic Models An introduction. In ESSLLI Slides. Copenhagen. http://clic.cimec.unitn.it/roberto/ESSLLI10-dsm-workshop/ESSLLIintro-Zamparelli.pdf. But I would appreciate more references on semantics in American linguistics before Chomsky. I’ve never been a historian! This project started from some things I’d written and talks I’d given to ‘record for posterity’ developments I had been a participant in, and when a colleague said after one such talk, ‘you should write a book!’, it struck me that that might indeed be something I’d like to try to do! And to do a book, I really do need and want to go beyond what I know first-hand, so I’m trying to learn more. Help is welcome. Of course I can’t and won’t become expert in everything potentially relevant, and I should focus on what I know best and not try to duplicate what has been well done elsewhere. When I start reading I was hoping that you will spell out what is “illogical” in the language. Therefore there is no independent or at least an agreed way to approach the problem. I am wondering what are the premises that people share when they start asking if the language is or not “logical”. I guess (and correct me if I am wrong) that they believe that the semantics of natural language should be formal and that they should also somehow subscribe to the compositionality principle. I say “somehow” because as stated the compositionality principle is vague. If you want to make it more specific it will be theory dependent. Therefore if I do believe that the formal semantics is a misrepresentation of natural language semantics then I can safely conclude that the logicality of language is an artificial problem. All right, thanks; let me try to say what I had in mind about “illogicality” without bringing the compositionality principle into it at all. I put “illogical” in square quotes because I don’t think there’s a precise meaning at issue here, and also because I agree with those who would argue that it’s only reasoning that can literally be logical or illogical, not language itself. What I think people mean when they describe language as illogical is something like the following. First one assumes that the propositions expressed by sentences have a certain “logical form”. Then one assesses whether the observed structure of natural language sentences makes their logical form apparent, or whether the observed structure of sentences rather obscures their logical form. One of the motivations for the invention of first-order logic was to have a language that could make the assessment of the logical validity of arguments easier to make; the language of first-order logic was designed so that the syntactic structure of a formula corresponds directly to what its logical form is taken to be. Thus logicians would talk about needing such a formal language in order to do logic the way physicists need a mathematical formal language in order to do physics. And Frege talked about his Begriffschrift serving as an aid to natural language much as the microscope is an aid to the human eye: the formal language is better suited for the specific task of assessing formal validity, but natural language is much more versatile and is far better for the broad range of purposes we put it to in ordinary life. And there are ways in which I think just about everyone would agree that natural language is not perfectly suited to assessing the validity of arguments; one feature that all natural languages have, and no invented logical languages have, is ambiguity. Ambiguity only occasionally causes problems in everyday life; ambiguities are usually easily resolved in context. Formal languages are designed to be unambiguous and context-independent, and free of vagueness; that’s good for writing and examining proofs, but makes the languages much too rigid for use in normal human communication. Vagueness is indispensible in a natural language – that probably doesn’t even need to be argued, though I hope someone has taken the trouble to lay out the case for vagueness, because it often seems to come under attack. Syntactic ambiguity doesn’t seem so useful, and I don’t know if anyone has a theory of why all natural languages seem to exhibit syntactic ambiguity. So what I was writing about was actually something narrower, concerning the “logical part” of natural language structure. I was NOT suggesting that what formal semantics studies is the whole of meaning, so I would reject your final paragraph. I don’t think it should be controversial that among the things natural languages express are things like negation, quantification, conjunction – and I was addressing claims like Russell’s that natural language does that very poorly and misleadingly, and arguing that Montague’s work showed that Russell’s claim could be defused by a different way of analyzing what the “logical form” of a sentence like ‘Every man walks’ is. Thank you for forcing me to clarify some things that I clearly didn’t say explicitly. Oh, and I certainly agree that all the crucial concepts I’m concerned with here are theory-dependent; I don’t think that makes them empty or uninteresting. We don’t know what the best theory of syntax is, so we don’t know what “the” structure of a natural language sentence is. And we don’t know what “the” logical form of a sentence is, or what “its meaning” is. But I believe that over the last century or two we’ve come a long way toward being able to see that natural languages, despite (?) the fact that they have evolved naturally, are much better designed for expressing their “logical forms” than it seemed to those who first worried about the issue. Thanks for this long and well thought reply! . It would be nice if you would consider to explain in a separate post the key notions of formal semantics and the purpose of this discipline from a “philosophical” point of view. As far as I am concerned I would be happy if you point me to an article or book that deals with this issue. Now coming back to your post I have two comments regarding the logical form and the lexical ambiguity. The fact that the actual use of language obscures or not the logical form it doesn’t seem to me dramatic. It would be a problem if in the actual language use the speakers would not understand each other but this is not the case. 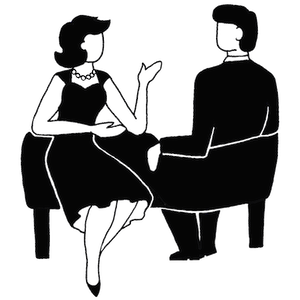 In the actual language use the shared context including the background knowledge and the immediate perceptual context is enough for communication. Only if you eliminate the context and want to study the language as separate entity you need to talk about the logical form. The lexical ambiguity is indeed a problem worth discussing but as far as I understand the formal semantics has little to say about this. If I am correct you deal with this problem by fixing beforehand an unambiguous vocabulary and then re-writting the natural language sentence using this vocabulary. Thanks again and please do not think that I am against the formal semantics. Is just that I want to understand the purpose of this discipline and the philosophy behind it: why do you think it is useful and what can tell us about the language. The practice of actual formal semanticists (especially the younger ones) seems divorced from the WHY’s. They invent clever ways to deal with old problems which is useful and advances the discipline. However coming back to the origins from time to time is necessary. it can reassuring or distressing but in any case illuminating :). This blog isn’t the place for me to offer a very general piece about what formal semantics is and what its goals are. But maybe some of the following would be useful references. Partee, Barbara H. 1979. Semantics – mathematics or psychology? In Semantics from Different Points of View, eds. R. Bäuerle, U. Egli and A. von Stechow, 1-14. Berlin: Springer-Verlag. http://semanticsarchive.net/Archive/DZmMTg5O/ [1978 pre-pub ms.]. Partee, Barbara H. 1988. Possible worlds in model-theoretic semantics: a linguistic perspective. In Possible Worlds in Humanities, Arts, and Sciences. Proceedings of Nobel Symposium 65, ed. Sture Allén, 93-l23. Berlin & New York: Walter de Gruyter. http://semanticsarchive.net/Archive/TA4MTYxZ/. Thanks for the references! I am looking forward to other interesting posts from you.